VANCOUVER, BRITISH COLUMBIA and NEW YORK, NEW YORK--(Marketwired - Jan. 5, 2015) - Lomiko Metals Inc. ("Lomiko") (TSX VENTURE:LMR)(OTCQX:LMRMF)(FRANKFURT:DH8B) has made significant strides forward on several fronts in 2014. The strategic plan to create new ventures in the technology sector has been very successful. "Lomiko's work in 2014 has set the stage for the accelerated creation of value in 2015, stated A. Paul Gill, CEO "This news release outlines our direction and goals in 2015 for shareholders, analysts, the media and new venture investors looking for a company that is moving forward despite difficult market conditions." In September, Lomiko announced the acquisition of a 40% interest in Canada Strategic Minerals' La Loutre Crystalline Flake Graphite Property in Quebec. (link) The La Loutre property has since then been drilled and has produced very encouraging results. (link and link) We are particularly encouraged by the high grades and near surface locations of this graphite discovery. Lomiko was approved for trading on the OTCQX Exchange in the USA in April, 2014 allowing new American investors there to participate in the growth and development of the Company. Lomiko was also pleased to announce that a Shareholders Rights Plan came into effect at our October Annual General Meeting. (link) In the current market, technological innovation can create tremendous value literally overnight and our Shareholders' Rights Plan will ensure that our shareholders are treated fairly when such value is created. Lomiko has arranged for a Market-maker to provide liquidity to the market and a better trading experience for investors. 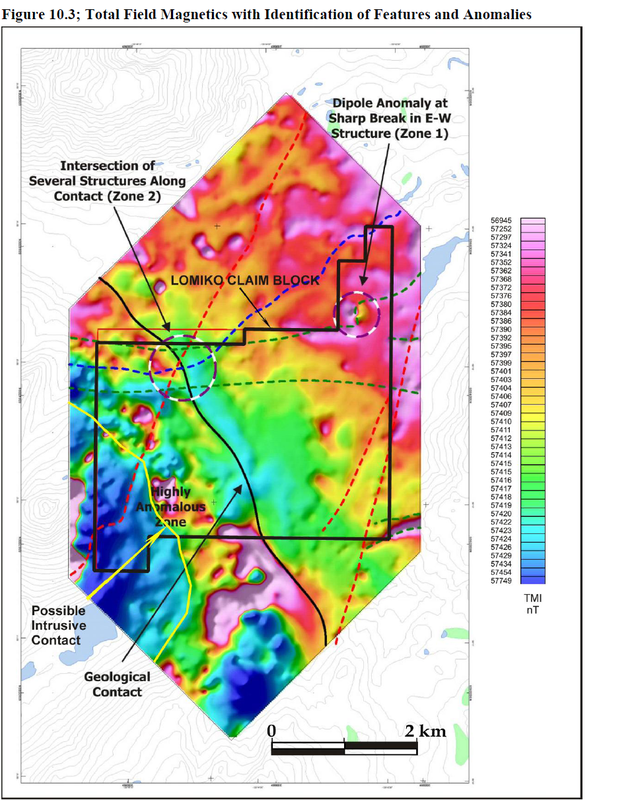 Recently filed financial information for Q1 2015 (link) indicates Lomiko has $ 4.04 Million of cash and cash equivalents, $ 7.7 Million in un-realized equity (Graphene 3D Lab shares) and $ 1.7 Million in exploration assets. Management is confident the work done on both technology and exploration puts Lomiko in an excellent position to capitalize on the coming graphene revolution. Lomiko Technologies goal is to create revenue from its licensing deals and e-commerce site and launch Lomiko Technologies as a new public company. Graphene 3D Lab is making significant progress in developing their business plan for revenue and profitability. Lomiko will continue to meet any graphite needs that arise from demand created. Graphene ESD will continue its development of energy storage devices and launch as a new public company in 2015. Lomiko Metals will focus on creating a resource estimate and PEA for the La Loutre Graphite Property located near the Imerys Graphite and Carbon Mine in Quebec. 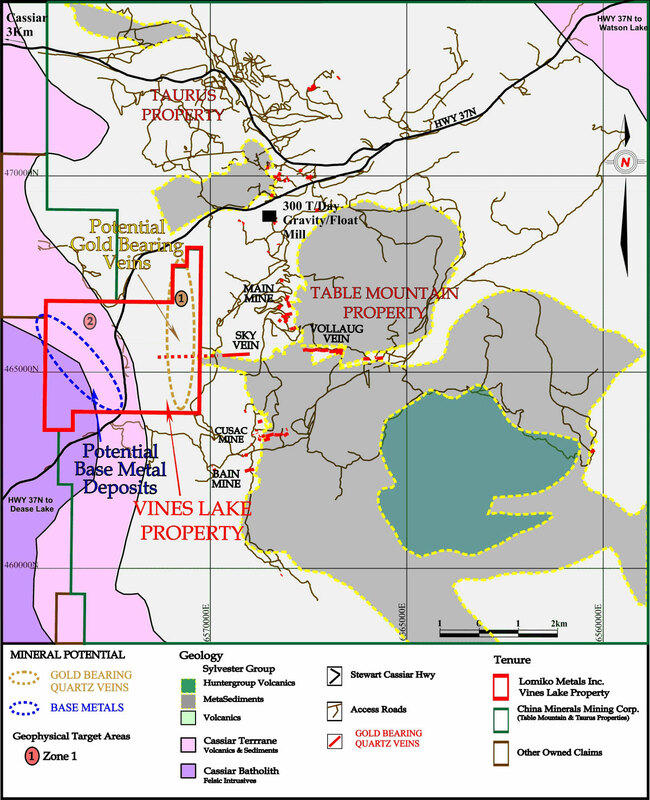 Lomiko will also drill deep gold targets at the 100%-owned Vines Lakes Project in Cassiar, B.C. which is adjacent to the historic Table Mountain Mine (link). The Magnetic Anomaly Map is available here (link). Lomiko will launch an extensive advertising and brand awareness campaign designed to focus attention on our new products. In a difficult market for junior exploration companies we have managed to stand out as an innovative, agile and forward-looking company. Our technology investments provide a counter balance to the junior resource market. At the same time, we believe that by concentrating on finding high grade, near surface, graphite deposits, we will position Lomiko to be a low cost graphite producer when the time comes to mine graphite.